Eight of the finest guitarists alive take turns demonstrating their chops in this concert video. Night Of The Guitar II, Vol. 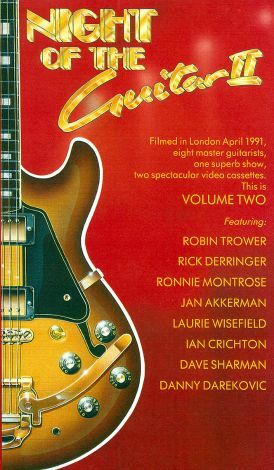 2 features performances from Rick Derringer ("Blood From A Stone"), Jan Akkerman ("Streetwalker"), Dave Sharman ("Borrowed Time"), Laurie Wisefield ("The House Is Rocking"), and much more.